A vulnerable Sussex man whose home was taken over by drug dealers exposed himself to a CCTV camera after growing frustrated with housing staff, a court heard. Warren Leake told Worthing Borough Council staff he needed to be rehoused after being ‘cuckooed’ - a process where vulnerable people’s homes are used as a drugs den. But angered by the response, Worthing Magistrates’ Court heard on Tuesday that he swore at staff and threatened to throw a leaflet holder before being forced to leave the offices in Richmond Road, Worthing, on August 1. 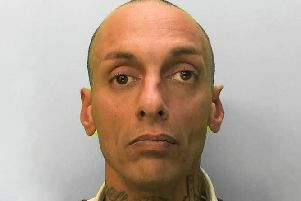 Leake, 34, of The Avenue in Worthing, then ‘exposed his buttocks’ to a CCTV camera as he left, magistrates were told. Leake admitted indecent exposure and threatening to damage the leaflet holder. He was handed a 12-month community order, an eight-week curfew from 7pm to 7am and ordered to pay costs of £170. Chairman Peter Sutton said: “I can totally understand your frustration but that’s a different issue. This is not a way to behave to other members of society trying to do their jobs. Around three weeks after the first offence Leake returned to push over a leaflet stand and smashed a window at a social services office. He pleaded guilty to both offences at a separate hearing, the court heard.